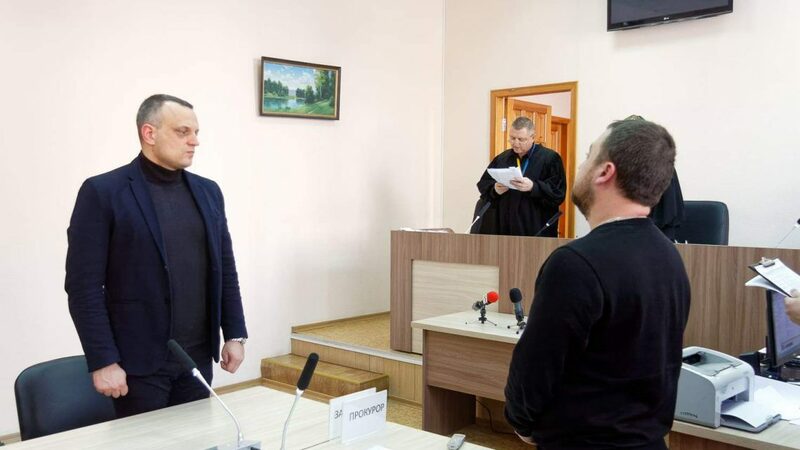 On 4 April, the Panel of Judges of the Kharkov Court of Appeal upheld the decision of the first instance court on the arrest of the Chechen Amkhad Ilayev, whose extradition is required by the Investigative Committee of Russia. The decision was announced by the Presiding Judge Valery Bezditko. Reviewing took place without the participation of Ilayev himself, who is in the detention center of Kharkov; the attorney Ivan Angelin represented his interests. Representatives of the Kharkov media and the local Nakh Diaspora were present in the court session during the reviewing of the appeal. The attorney appealed the decision of the Lozova District Court on the arrest of Ilayev upon the request of the Russian Investigation Committee through Interpol. 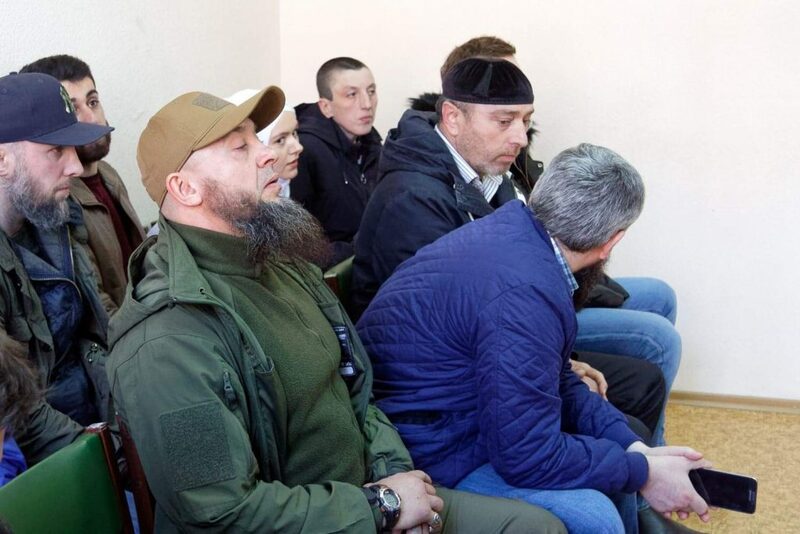 Before the court session, Angelin reminded journalists that his client had been illegally detained and accused of a crime he could not commit because he had left the territory of Chechnya and the Russian Federation at the time of the alleged actions. He also added that Ilayev is being persecuted by Russian Special Services because of his disagreement with the reigning order in the Republic, and three of his brothers were tortured and murdered by Russian security forces. Angelin, in his complaint, asked the court to cancel the decision of the first instance court on the arrest of Ilayev for forty days. He also applied for the inclusion of prints from the Interpol website, which confirm the opinion of the attorney that Ilayev is not on the international wanted list, in the case materials and asked to attach the materials of the Russian media about the case of the Ilayev brothers and explanations of the neighbors of this family. The court granted the petition. Angelin, in his speech, noted that the Russian party has not yet provided the Ukrainian authorities with materials confirming the extradition request. According to the attorney, the Interpol website does not contain the so-called “red card” on Ilayev, but there is only a copy of the letter of the Russian Bureau of Interpol to the Ukrainian Bureau, which had been transferred already after the detention of his client. “The investigating judge didn’t take into account that the petition from investigative bodies of the Russian Federation was not received by the General Prosecutor’s Office… As there is no petition for detention, for placing in custody…, any further actions of law enforcement bodies of Ukraine are illegal,” Angelin stated. He noted that the rights of Ilayev were violated in the first instance court because he was not given the opportunity to read and learn the procedural documents and violated the right to receive explanations in his native language. Moreover, the attorney added that in terms of the alleged article incriminated to his client on the illegal possession of weapons and ammunition, in accordance with the Ukrainian legislation, the statute of limitations has expired. During the court in session, the Prosecutor Vladimir Diolog objected to the defense petition. He noted that he applied for the arrest of Ilayev, referring not only to the letter by Interpol but also to the decision of the Grozny Court of Russia, as well as other documents in accordance with the Criminal Code of Ukraine. The Prosecutor also admitted that there were no documents from Russia confirming the extradition request for Ilayev. “Forty days (of arrest – author) were selected before the extradition request,” said the Prosecutor. “The appeal… shall be dismissed. The ruling of the Investigating Court of Lozova District Court of Kharkov Oblast dated 15 March 2019 shall be upheld,” said the Presiding Judge Bezditko. The judge announced only the operative part of the ruling; the full text with the motivation of the decision will be available in a few days. The court decision is not subject to appeal to the court of cassation. After the session, the attorney Ivan Anglin reported that Amkhad Ilayev applied to the Migration Service of Ukraine on the granting of the refugee status. “We applied to the Migration Service, the application was registered, but the decision had not been made yet,” the attorney said. The appeal to the Migration Service is blocking any actions on the extradition of the person seeking such status. The 33-year-old native of Bamut, Amkhad Ilayev, has resided in Ukraine since 2008. His three brothers were tortured to death by Kadyrov’s militants. After leaving Russia, the security services accused Ilayev of illegal possession of weapons and complicity in the murder of five persons in the Grozny District.